On July 5, 2018, Touch Foundation participated in the UN Interactive Hearing on Non-Communicable Diseases (NCDs), held as part of the preparatory process for the UN high level meeting on NCDs this coming September during the UN General Assembly. 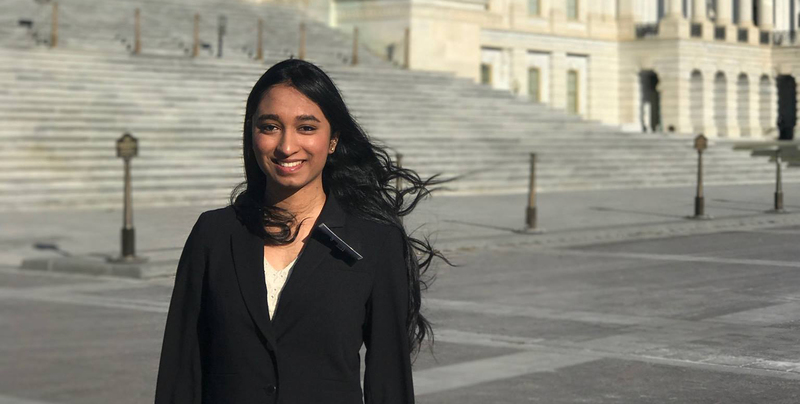 Dhishana Kidambi, Bard Globalization and International Affairs summer intern at Touch’s New York office, shares some reflections on the hearing and her personal experiences living with Type 1 Diabetes. “Eat three chapatis (wheat cakes) for dinner, and give yourself six units of insulin. As long as you are at 180 before bed, you should be good to go!” I hardly felt any of my endocrinologist’s optimism; cutting portions seemed like an impossible proposition to make to a 12-year-old living in India. When I later asked my local doctor about carb-counting, he laughed and said, “good luck trying that with a bowl of dal makhani! Carb-counting is impossible to do with Indian foods.” Despite being trained to advocate a carb-counting methodology, he believed, and my experience showed, that it simply could not be practiced in India. As someone living with a NCD in the Global South, I can say that it is this clash of absolutes between the technical knowledge created and disseminated by multilateral organizations in the Global North and the realities of living in the Global South that make the management of NCDs so challenging. NCDs are often highly individualistic, and the most effective management techniques arise from the integration of lived insight with technical experience. As part of the preparatory process towards the third High-Level meeting of the General Assembly on NCDs, the interactive hearing consisted of several panel discussions that offered an opportunity to deliberate on the best way to manage NCD care between various stakeholders in resource constrained communities. The agenda of the hearing was to discuss the role of five different areas that will need to be addressed: scaling up action against NCDs, financing, promotion of multi-sectoral partnerships, political leadership, and accountability. The panels addressed many important issues that could improve action against NCDs, ranging from the need for catalytic funds, massive technology building, a skilled workforce, and multi-sectoral partnerships between the public and private sectors. While panelists recognized that the ultimate goal is to empower people with NCDs to take charge of their health, most consideration is given to political actions that require the cooperation of powerful global actors, highlighting the conflicts between the private and public interests that need to be resolved. As someone living with a NCD, it felt as though the narratives of people with NCDs, and the value of their insight, needed a more prominent position. Since its inception, Touch Foundation has focused on strengthening local health systems. This approach recognizes that there are too few healthcare workers and too many breakdowns in national health systems. The health systems approach taken at the interactive hearing recognized various actors (infrastructure, drugs, regulation, healthcare workers, etc.) as separate entities, rather than a single system in which bonds could be strengthened. Panelists in the sub panel titled “Engaging people with NCDs” maintained that this approach does not effectively recognize sustainability and continues to place people living with NCDs on the sidelines and creates difficulties for people from different cultural backgrounds to navigate the health system. Creating a system that implements a locally informed approach on a global scale remains an important aspect of addressing NCDs. In this context, Touch Foundation makes important contributions to creating a more holistic health system that is patient-centric. The comprehensive systems approach adopted through programs like Treat & Train offer an effective model to treat NCDs. By optimizing healthcare facilities with the goal of developing local leadership, Touch is able to effectively prioritize all aspects of the healthcare system. This offers a useful framework to resolve the challenges that people with NCDs face, and include the crucial voices of patients that have been missing in the global response. To ensure that every mother can enjoy a healthy pregnancy and every child survives beyond their fifth birthday worldwide, the UN and World Health Organization launched the Global Strategy for Women’s, Children’s and Adolescent’s Health (2016-2030). This Strategy is promoted by Every Woman Every Child, a global movement mobilizing new collaborations and partnerships between governments, multilaterals, the private sector and civil society to achieve the Sustainable Development Goals (SDGs). Today a woman in Tanzania is still 80 times more likely to die from pregnancy related causes than a woman in the United States. Multipartner collaboration and collective action are needed to address the root causes of such a huge disparity. 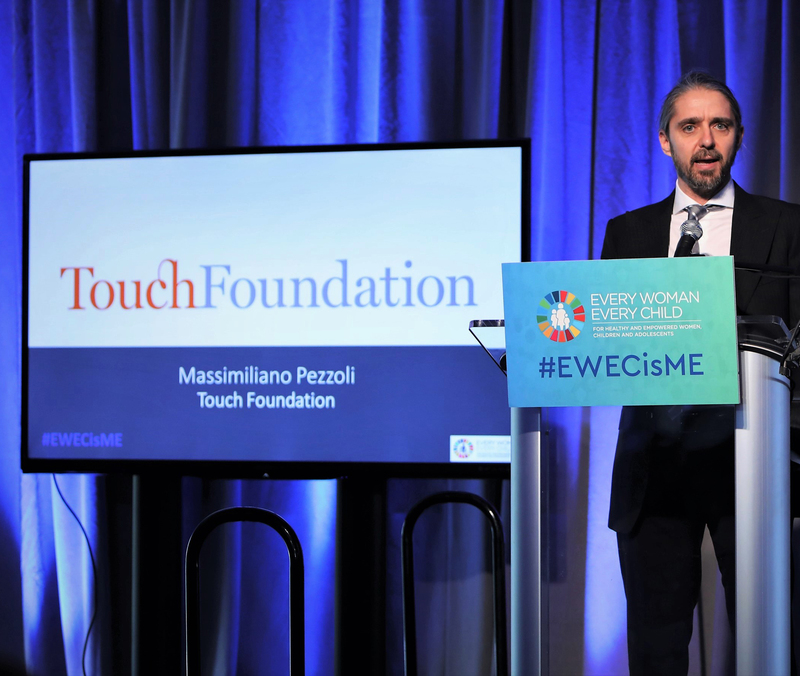 On September 19, 2017, Touch Foundation announced our first Every Woman Every Child commitment at the annual Every Woman Every Child Private Sector-Innovation high-level event, held during the 72nd session of the UN General Assembly. We have committed to raising $1 million dollars, combined with other committed funds, to expand the Mobilizing Maternal Health program across eight districts of Tanzania over the next four years to save the lives of mothers and newborns. 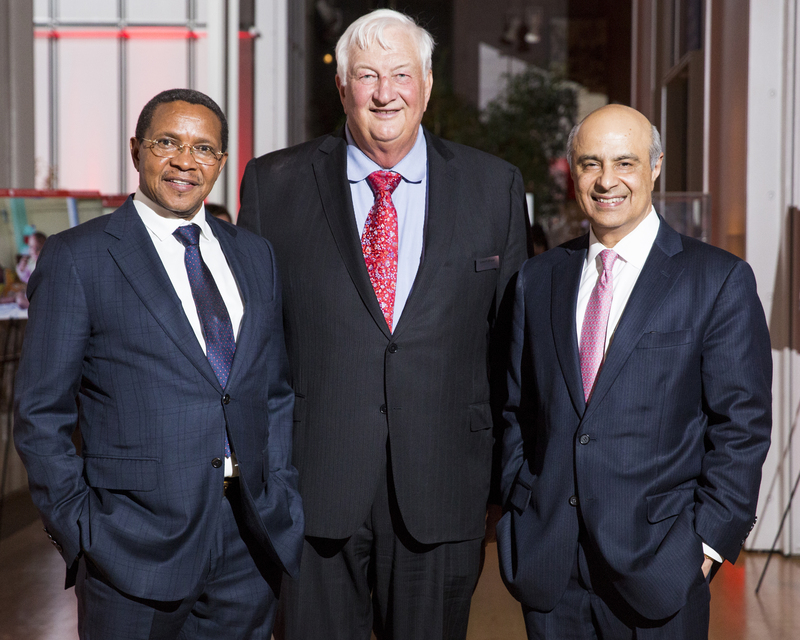 Touch Foundation, together with our partners including the Tanzanian government, Vodafone Foundation, Pathfinder International and D-tree International, will provide over 11,000 pregnant women and their newborns facing a medical emergency with safe, fast, and free transportation. Using mobile phone technology, our transport system is designed to take emergency calls (911-like) from remote areas on its toll-free line, triage a patient remotely 24/7, dispatch an ambulance or community taxi to bring the patient to a health facility, and monitor the patient’s progress from the moment help is called until their discharge. In addition, we will continue to improve the quality of health services in rural areas by training healthcare workers and building infrastructure like c-section theaters and neonatal intensive care units. Our evaluation of the first phase of this program in one of the pilot districts proved that this approach could reduce maternal mortality by at least 27%. Many more mothers and newborns will be saved as we scale up our evidence-based program. On May 18th, 2017 Touch Foundation and Vodafone Foundation hosted a symposium in New York City. We invited expert panelists to share innovative evidence-based approaches to improve maternal and newborn health in sub-Saharan Africa and other low-resource settings and achieve the Sustainable Development Goals. The first panel focused on the impact of an emergency referral and transport system (EmTS) on maternal lives saved in Tanzania, which was launched in 2015 by Touch Foundation, Vodafone Foundation, ELMA Foundation, USAID/PEPFAR, and Pathfinder International as part of the Mobilizing Maternal Health (MMH) program. In the first year, the EmTS resulted in a 27% decline in maternal mortality rates and saved many more newborns in two districts. The panel stressed the importance of high-quality data collection to enable quick fixes and targeted resource allocation. The panel stressed, in relation to the EmTS, the importance of critically analyzing the data in order to achieve buy-in from all partners including the Government of Tanzania and to scale in the future. In addition to data, the program’s tangible impact on Tanzanians has bolstered government and community trust. The second panel, Innovative Approaches to Barriers to Care, featured panelists examining a range of innovative approaches to remove barriers to quality health care for women and newborns. Mutually beneficial partnerships, a systems approach to integrating devices and interventions, and locally-led innovations were three key approaches discussed. The panelists, leaders of international NGOs and medical device companies, emphasized that productive partnerships depend on a generous understanding of each other’s relative strengths and interests. They also recognized that strong health systems and consistent product innovation can promote self-sufficiency. Lastly, they highlighted that there is an opportunity to support local innovation through North-South partnership, resource allocation, and an environment that enables risk-taking. Veronika Method, 23 years old, delivered her first four children in her home without any medical assistance. 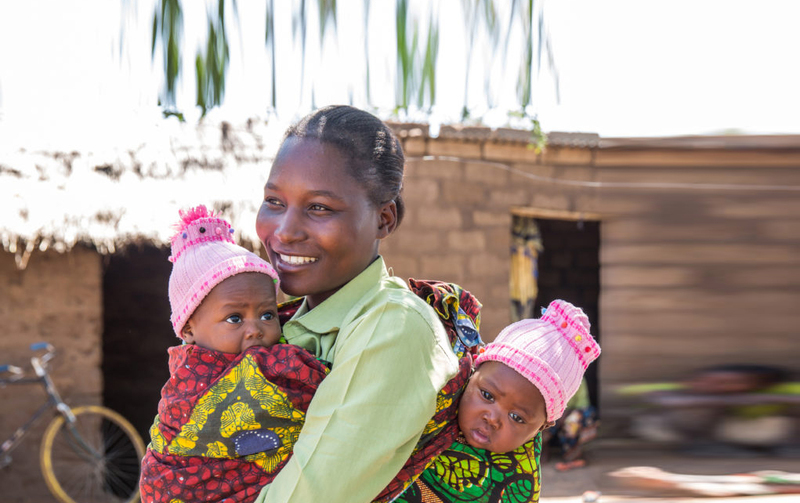 Veronika delivered her twins at Nyamizeze dispensary, but was told by local healthcare workers that she needed to be transported immediately to the hospital if she wanted her newborn twins to survive. Worried about the safety of her newborn twins, Veronika put her trust into a system completely unknown to her. To Veronika’s surprise, the nurses at the dispensary arranged for her and her neonates emergency transport with the help of the capable dispatchers. This is a system set-up as part of the Mobilizing Maternal Health program with Vodafone Foundation. Yesterday morning, Veronika became our 2,000th emergency case. The twins, Kulwa (4.4 lbs) and Dotto (3.5 lbs), are currently still in the NICU undergoing intensive treatment in the baby warmers and CPAP breathing machines.